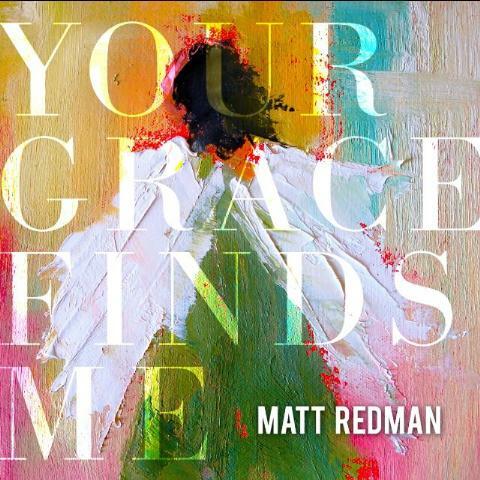 Fresh from one of the most successful periods of his career, British worship leader Matt Redman has delivered his latest album 'Your Grace Finds Me'. Previous album '10,000 Reasons' picked up an incredible array of accolades, including two Grammy awards, a Billboard Music Award, ASCAP's Christian Music Song of the Year and Gold status - all for title track '10,000 Reasons (Bless the Lord)'. As with that album, Matt has again chosen to record his latest album live at Passion City Church's 'LIFT' worship leader's collective in Atlanta. Read More Fresh from one of the most successful periods of his career, British worship leader Matt Redman has delivered his latest album 'Your Grace Finds Me'. Previous album '10,000 Reasons' picked up an incredible array of accolades, including two Grammy awards, a Billboard Music Award, ASCAP's Christian Music Song of the Year and Gold status - all for title track '10,000 Reasons (Bless the Lord)'. As with that album, Matt has again chosen to record his latest album live at Passion City Church's 'LIFT' worship leader's collective in Atlanta. Opening with a strong rhythm and a happy, upbeat feel 'Sing and Shout' instantly has that familiar Redman buzz. Sounding like some kind of an Irish jig, Matt calls out "We will sing and shout, open up our hearts and pour Your praises out". Title track 'Your Grace Finds Me' is, as you would expect, one of the stand out songs of this album. With beautiful keyboard sounds, jangling guitar riffs, and reverent lyrics, it's the classic Matt Redman worship anthem to a tee. With an understated voice, Matt manages to pour out a sense of adoration and worship with every word he utters. "From the creation to the cross, there from the cross into eternity, Your grace finds me". A stunning song that you would assume will be hitting a church service near you very soon. As the song begins to wind down, a choir hums a melody line straight out of Amazing Grace, keeping the sense of praise rising until the very end. Again with his hushed vocal style, 'Mercy' sees Matt lead the live crowd in this piano-based modern hymn perfect for a communion service. The piano continues into 'I Need You Now', a kind of theological ballad, exploring how we need God with us. The drums and guitars are gradually applied to the song, building the pace and atmosphere to epic proportion as Matt sings "Oh living water, oh God my healer, if I ever needed you, I need You now." Showing clear influences of worship band of the moment, Rend Collective Experiment, folk tinged 'This Beating Heart' features extensive use of a banjo sound and a foot-tapping, hand-clapping, dancing in the isles beat. Once you remind yourself you're not listening to the Irish folksters thumping their dustbins and dancing on one leg, you start to realise that Matt has drawn on a popular sound to produce a modern worship celebration that brings a smile to both the face and the soul. Returning to the usual Redman stable of Christian worship rock, 'One Name Alone' is a song that everyone will be joining in with, with it's catchy near-shouted chorus. "One name alone I am living for. One name my heart and my soul adores. Be the first and the last be the song that I sing, JESUS BE MY EVERYTHING!" The electric guitars are at their most prominent during 'Jesus, Only Jesus' with exciting bursts interspersed with the more sombre vocals. The guitars taken on a more atmospheric role for 'Wide As The Sky', with that floaty drifting sound that makes you want to close your eyes and enjoy. Again this is Redman-gold, with a chorus that soars and lifts the spirits as you find yourself singing along to the gem of a song. 'Good Forever' has a very familiar style to it, another brilliant chorus and plenty of potential for church worship groups everywhere to get creative. Described as a song "for the A21 Campaign", which aims to draw attention to human trafficking, 'Let My People Go' opens with an out and out rock sound, full of drums and guitars. The lyrics are ones you could imagine Jesus speaking if he was on the earth today, demanding the freedom from modern day slavery of vulnerable people. "Light a fire in the dark, let my people go... another stolen life, another hidden cry, but these are your sons and daughters God, trafficked in the night, broken by the fight, rescue your sons and daughters." It's powerful and moving, telling a story that doesn't often warrant a mention on worship albums. Continuing the sense of emotion, 'Come and See' brings with it a sense of awe as it offers a hint of orchestral sound low in the mix. At over 7 minutes in length, the closing track, titled simply 'Benediction', does exactly what it says on the tin. Offering up the familiar words of a closing prayer, this moody and gentle song finishes the album in a peaceful manner. As with his previous album, this is a different kind of live album to the ones we often see from recording artists. This isn't an album capturing a crowd singing along to well-known anthems - it's a tight and well prepared band performing new and original songs to lead a crowd in a time of devout worship. In some ways it must be harder to record an album in this way - with the band clearly having spent time perfecting the songs and working out how they will play them together, rather than the usual studio technique of recording individual layers and mixing them together to produce a finished product. Somehow worship songs feel more real when they are recorded live, in front of a room full of people who's focus is on worshiping God. Matt Redman has again shown his willingness and ability to produce songs the global church can claim as their own. With a fresh sound, thought-out arrangements and lyrics that are steeped in worship, 'Your Grace Finds Me' is a brilliant modern praise album.